ANDERSON, ALEXANDER CAULFIELD, HBC fur-trader and civil servant; b. 10 March 1814 near Calcutta, India, son of Robert Anderson and Eliza Charlotte Simpson; d. 8 May 1884 at Saanich, near Victoria, B.C. Alexander Caulfield Anderson’s father, a retired British army officer, operated an indigo plantation in Bengal in partnership with Alexander Caulfield. He prospered, returned to England in 1817, and settled in Essex, where his sons received a good education. In March 1831 Alexander joined the Hudson’s Bay Company; his initial contract was for five years at an annual salary that increased progressively from £20 to £50. He sailed for Canada in April, accompanied by an older brother, James*, who had also joined the HBC. Alexander spent his first year of service at Lachine, Lower Canada. In 1832 he was sent to Fort Vancouver (Vancouver, Wash.) where he arrived in November. 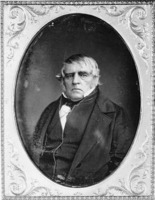 The following year he was second in command of the party that built Fort McLoughlin (Bella Bella, B.C.) and in 1834 he was with Peter Skene Ogden* when the company’s attempt to establish a post on the Stikine River was blocked by the Russians. In 1835 Ogden took charge of New Caledonia, the HBC department encompassing present-day north central British Columbia. Anderson evidently had impressed him favourably, for he too was transferred to that district, and spent the next five years there. His first assignment, which was to cross the Rockies to Jasper House, meet a party of new recruits, and bring back 40 packs of moose skins needed for shoe leather, nearly ended in tragedy. An early onset of winter forced the party to return to Jasper House, and a shortage of provisions there made a further retreat to Edmonton House (Edmonton) necessary. Anderson was severely criticized by some in the company for his management of the party, but an investigation exonerated him from all blame for its misfortunes. In 1836 he took charge of the post on Fraser Lake where he remained until 1839. He was then stationed for a year at Fort George (Prince George, B.C. ), after which he returned to Fort Vancouver. In 1840–41 he took temporary charge of Fort Nisqually (Wash.) and was there when the exploring expedition under Lieutenant Charles Wilkes of the United States Navy visited the post in May 1841 in the course of its survey of Puget Sound and the Columbia valley. In 1842 Anderson commanded the annual brigade to York Factory (Man. ), and on his return was appointed to Fort Alexandria on the Fraser River where he was based until 1848. Ogden had suggested a route leading westward from Kamloops to the Fraser River in the vicinity of Cayoosh Flat (Lillooet), and then avoiding the canyons of the Fraser by travelling south by way of Seton, Anderson, Lillooet, and Harrison lakes and the Harrison River, which flows into the Fraser about 30 miles up-stream from Fort Langley. Leaving Kamloops on 15 May 1846, Anderson completed the journey by Ogden’s route in nine days, but he considered it quite unsuitable for the company’s purposes. On the return trip, which began on 28 May and occupied 13 days, he determined to leave the Fraser below the canyons and search for a way through the Cascade Mountains, which lie between the river and the interior valleys. Like many explorers before him, he followed watercourses – the Coquihalla River, Nicolum Creek, the Sumallo River, and Snass Creek, then, having crossed the height of land, descended by the Tulameen River to Otter Lake. There he had the good fortune to meet Blackeye, an Indian well acquainted with the country, who guided him north to Kamloops by way of Otter Creek and Nicola Lake. Anderson considered this route practicable, although in places snow might limit its use to a few months in the year. Ogden and James Douglas*, the senior officers in charge of HBC operations west of the Rockies, hoped that a better route could be found and instructed Anderson to explore further in 1847. In May he set out once more from Kamloops, left his previous route at Nicola Lake, and by way of the Coldwater River and Uztlius Creek reached the Fraser about 13 miles upstream from Yale. A pack trail was built to bypass the lower canyon and the HBC brigades used this route in 1848, but it proved too difficult and had to be abandoned. The company then fell back on a somewhat revised version of the route Anderson had followed in May 1846 via the Coquihalla and Tulameen rivers, and it served as the brigade trail from 1849 to 1860. In 1848 Anderson was given charge of Fort Colvile (Colville, Wash.) and the surrounding district. He served there until 1851, after which he was stationed at Fort Vancouver as second in command to John Ballenden*. He retired on 1 June 1854 at the early age of 40. He had been appointed a chief trader in 1846 and would have been promoted chief factor had he continued in the service; but the promotion was contingent upon his accepting a post in New Caledonia, and he decided that he must make his home where a school would be available for his children. On 21 Aug. 1837 he had married Eliza Birnie, daughter of an HBC clerk, James Birnie; they were to have 13 children. Birnie had retired to Cathlamet (Wash.) on the lower Columbia and the Andersons settled nearby. In 1858, curious to see something of the gold-rush, Anderson visited Victoria; James Douglas, by then governor of the colonies of Vancouver Island and British Columbia, urged him to move to Victoria and accept office. Anderson agreed and was appointed postmaster of Victoria, and served briefly as collector of customs of British Columbia. He also had business interests, including part-ownership of the Victoria Steam Navigation Company. In 1876 he was appointed dominion inspector of fisheries with jurisdiction over British Columbia coastal and inland waters. The same year the federal government asked him to act as its member on a dominion-provincial joint commission on Indian land in British Columbia. This proved a frustrating assignment for Anderson because the efforts of the commission to delimit Indian reserves were defeated by the hostility of the provincial government. The appointment ended in 1878. In 1882, when travelling on fisheries business, he was forced by an accident to spend a night on a sand-bar. He suffered severely from exposure and never fully recovered his health. Anderson is commemorated in the naming of Anderson Lake, the Anderson River (a small tributary of the Fraser), and Anderson Island, in Puget Sound near Nisqually. A. C. Anderson was the author of A brief account of the province of British Columbia, its climate and resources; an appendix to the British Columbia directory, 1882–83 (Victoria, 1883); The dominion at the west; a brief description of the province of British Columbia, its climate and resources . . . (Victoria, 1872); Hand-book and map to the gold region of Frazer’s and Thompson’s rivers; with table of distances, to which is appended Chinook jargon – language used, etc., etc. (San Francisco, ); and Notes on northwestern America (Montreal, 1876). Brancroft Library, Univ. of California (Berkeley, Calif.), A. C. Anderson, “History of the northwest coast” (typescript at PABC, which also has the original journals of his exploring expeditions, some correspondence, and other papers). Univ. of British Columbia Library (Vancouver), Special Coll. Division, A. C. Anderson, “Writings of A. C. Anderson and other historical material,” comp. E. A. Anderson (copy), which includes data from the Anderson family bible. [John McLoughlin], The letters of John McLoughlin from Fort Vancouver to the governor and committee, [1825–46], ed. E. E. Rich and intro. W. K. Lamb (3v., London, 1941–44), II: 384–86. J. T. Walbran, British Columbia coast names, 1592–1906 . . . (Ottawa, 1909; repr. Vancouver, 1971), 20–21. H. H. Bancroft, History of British Columbia, 1792–1887 (San Francisco, 1887), 157–70; Literary industries (San Francisco, 1890), 538. E. P. Creech, “Similkameen trails, 1846–61,” BCHQ, 5 (1941): 256–62. Robin Fisher, “An exercise in futility: the joint commission on Indian land in British Columbia, 1875–1880,” CHA Hist. papers, 1975: 75–94. J. C. Goodfellow, “Fur and gold in Similkameen,” BCHQ, 2 (1938): 72–76. H. R. Hatfield, “On the brigade trail,” Beaver, outfit 305 (summer 1974): 38–43. F. W. Howay, “The raison d’être of forts Yale and Hope,” RSC Trans., 3rd ser., 16 (1922), sect.ii: 49–64. W. Kaye Lamb, “ANDERSON, ALEXANDER CAULFIELD,” in Dictionary of Canadian Biography, vol. 11, University of Toronto/Université Laval, 2003–, accessed April 24, 2019, http://www.biographi.ca/en/bio/anderson_alexander_caulfield_11E.html.